Outlook: The top state placers and returners are gone. 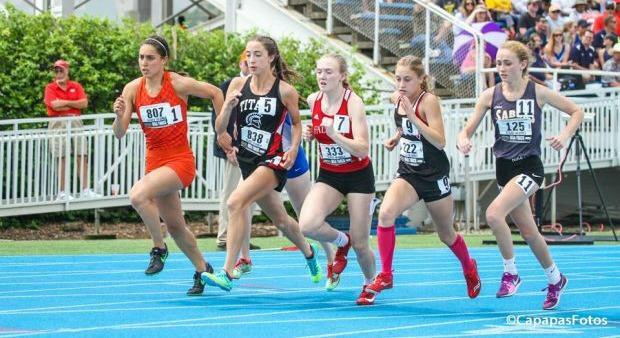 State champ Arielle Summitt had a great run but she is now competing at John Hopkins University. Former Elgin Harvest Carsen Forte runner has moved on to 3A Crystal Lake (Prairie Ridge). There is a fleet of girls under 2:20 back led by third placer Delanie Dykes. But the main girl to watch is Marianne Mihas. She ran 2:16 during the season which is the fastest time among the returners. Mihas on her way to a finals berth last year when she tripped on the rail with 200m remaining and missed out. That should not happen this time out as a complete frontrunner on pace to burn the track in elite fashion.